Program #FRAT006. Recorded in Seattle, WA on April 18, 2017. The election of Donald Trump was a stunning political upset. His victory defied the predictions of almost every pundit and pollster. Though he received about 3 million fewer votes than his opponent, the antiquarian Electoral College system in the U.S. gave him the presidency. The New York real estate mogul, TV celebrity and billionaire ran as a self-proclaimed outsider against what he portrayed as entrenched and corrupt political elites. He would “drain the swamp” in Washington. 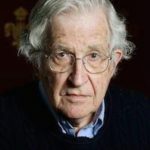 Despite a well-documented list of jaw dropping gaffes and serial prevarications he was able to convince enough working class people that he would reverse the neoliberal economic policies that had so adversely affected them. And the Democrats? Well, what can you say? Facing one of the weakest candidates in history, they lost not only the White House but also most of the state houses. Thomas Frank is a prominent political commentator and the founding editor of The Baffler magazine. He is the author of many books including One Market Under God, What’s the Matter with Kansas? The Wrecking Crew, Pity the Billionaire and Listen, Liberal. Mr. Yuna’s diatribe sounds like something from the John Birch Society and their Impeach Earl Warren billboards in the 50s and 60s. 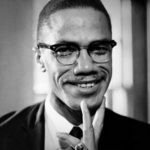 So how does he label FDR, HST, DDE, JFK, LBJ, MLK, RFK, other Progressives too numerous to mention? Democrat Thomas Frank gives a concise, class-based analysis of why the Democratic Party is on the ropes. It has not made him popular with Democrats, but I think he’s on the money. Events since he gave this talk have only proved him correct, as the DP has moved to eject Berniecrats, and Donna Brazile has made her revelations. Here’s one of my favorite excerpts from the talk–this was a difficult choice to make, because the talk is rich with telling quotes. 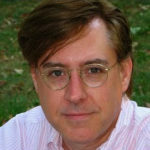 Unless you are truly unworldly and uneducated in terms of practical experience and logical thought, Thomas Frank’s speech ignores the true authoritative nature of the Obama state and forced socialism, and the media in concert with campus rats who profess to know what fascism is while ignoring what a true Orwellian state was in the last decade. Tom Tom the Piper’s son … we are a Republic, not a Democracy. The media was not owned by Trump, but Obama. The violence against those in opposition to your thought police and demagogue was those called liberals, when they truly were Nazis. If one peeks under the hood of speech, flowering but often repetitive in words, intent and delivered in a frantic tone belaying some mental disorder most figures ranging from Lenin to Hitler possessed in delivering a similar message, as well as, the rather shallow presentations given by Obama in great oratorical style and using the same words, but the same message – the right are morons, the right are fascists, the right are racist, and their scientific acumen can be collectively be put on the end of Tom’s pencil eraser. I have heard and read a thousand Tom Franks across this world in at least 4 languages, and their message, delivery style and self-proclaimed message of the state are always the same. But the fact they support the very values, political elements, and leaders that embrace and practice these things globally make the Tom Franks their agents, not caution or warning signs. I’m from Iceland, but staying up in the mountains in Northern California. This morning I was cleaning my cabin, and absolutely by accident, I heard this lecture by Thomas Frank, whom I had never heard of before – on Alternative Radio – which I had not heard of either, until this morning. I absolutely recommend this talk, as in my opinion, Frank is 100% on the right track in his explanations of what has gone wrong in liberal politics – in this case in the Democratic Party (and also in American society) as it is the only liberal political party in the US (as sadly, there are only two major political parties in America). I have for a long time studied what has gone wrong in conservative politics in Europe and the US – and I realized some of Frank’s points a long time ago in one way or another – however without fully grasping how colossal and dangerous they are for the very fabric of our Western civilization – where America is the leader. I have seen similar things happen in Scandinavia (I lived in Denmark for 6 years) – and in Europe as a whole – as the rest of us in the rest of the West import most of the political trends which happen in American society even if on a smaller scale. So, I was impressed with Frank’s talk, and the way he articulates complex cultural and political tendencies in a clear and direct manner.